This paid content has been created in partnership with Allen Tate Realtors®, your local source for all things home. 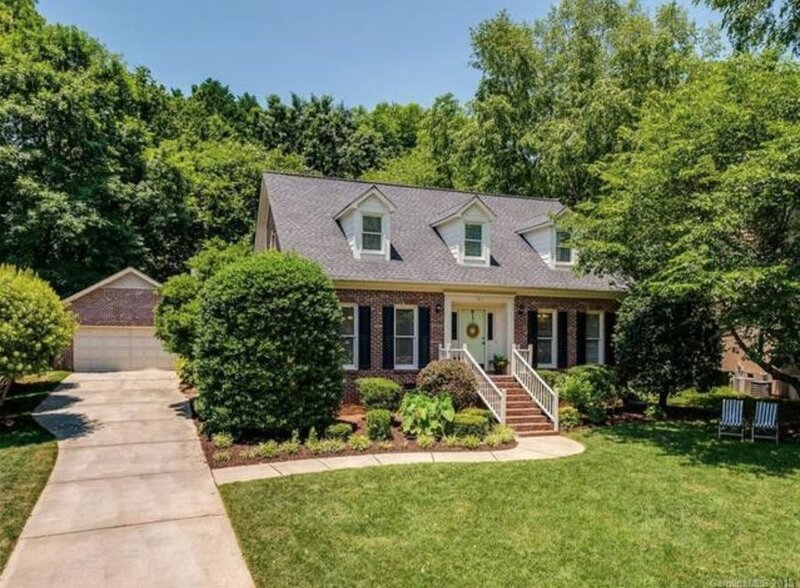 The Charlotte real estate market is HOT right now. How hot? I know a couple who put an offer on a house simply by seeing the photos online. I thought that was absurd until I found out in some areas of Charlotte, houses are going under contract within hours of listing. Hours. I’m almost 29 years old and I’ve been saving for my first home for a few years (I don’t have as much saved as I’d like but you know how life goes). It truly pains me to go online and pay the rent for my one-bedroom apartment in South End each month, so I decided find out more about the home buying process to see if I’m ready to pull the trigger. Growing up in Charlotte, I’m no stranger to Allen Tate signs, so I trusted them to help me navigate the waters and they didn’t disappoint. 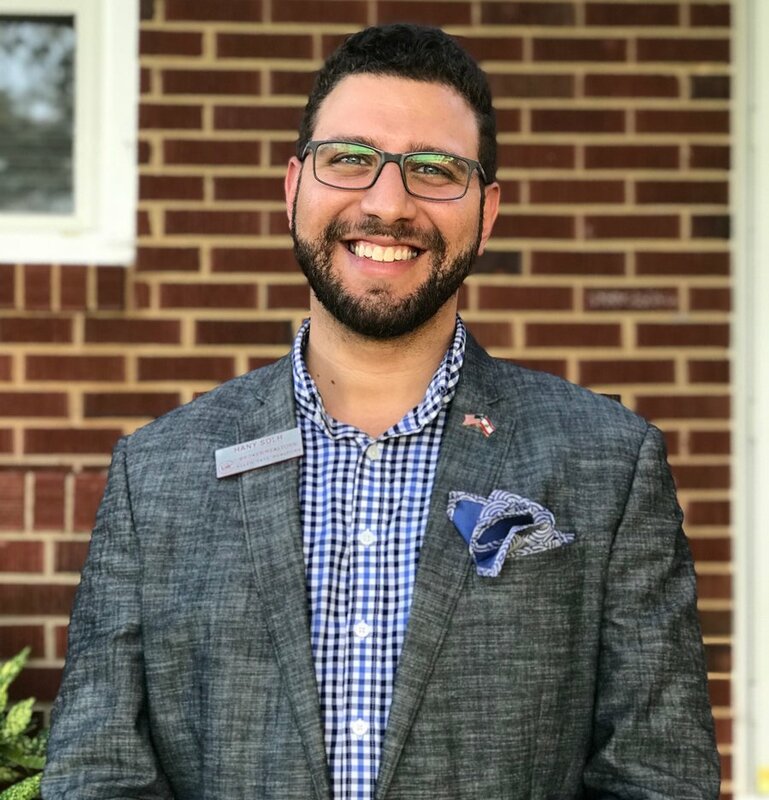 I worked with Allen Tate Realtor®/Broker, Hany Solh and he was awesome. Like me, he’s a Charlotte native and knows the city well. Plus, he’s a texter, which was crucial for scheduling showings. What can I say – I’m a millennial and hate talking on the phone. 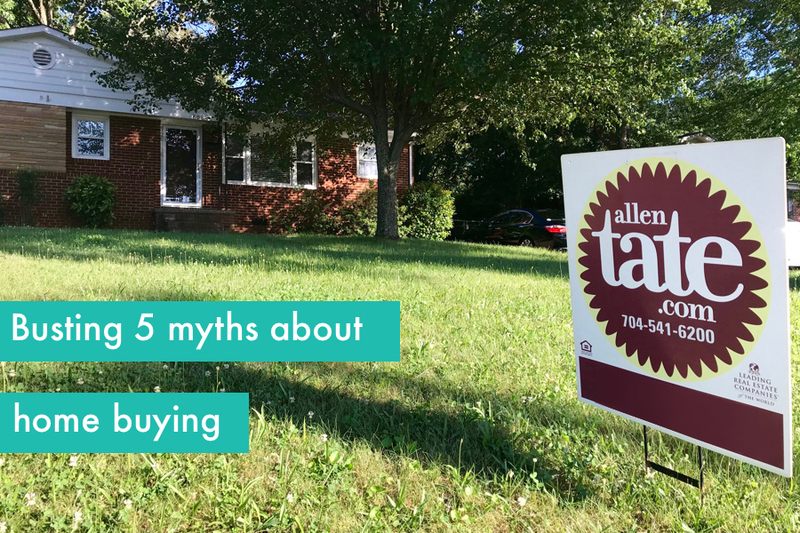 The first thing he did was bust a lot of myths people believe about the home buying process. Mind. Blown. Actually, working with a buyer’s agent is no cost to you. The seller will pay your agent’s commission at the end of the day. Nope. Although both are licensed to sell real estate, a Realtor® is a member of the National Association of Realtors®, which means he or she must uphold a strict code of ethics. All of Allen Tate’s agents are Realtors, which is a major plus. You are not required to make a 20% down payment, and, in some cases, buyers can put down as low as 3%. If you do put down less than 20%, you will be required to pay monthly Private Mortgage Insurance (PMI). The cost of PMI varies but it may not be a deal breaker if you find the perfect house and can’t pull off 20% down. Plus, once you hit the 20% mark in your mortgage payments, the PMI will go away. “This is a common misconception,” says Hany. “A pre-approval is an official letter from a mortgage lender saying you are pre-approved for a certain loan amount.” On the other hand, pre-qualifying is more of an estimation and not a promise. When it comes to searching for a home a Realtor is you best resource. “The internet is not always accurate,” says Hany. Often times home search sites will have outdated information, which means you could fall in love with a house that’s already under contract. By working with a Realtor, they can set you up with a Multiple Listings Search (MLS) so the most accurate information is getting straight to your email inbox. They can even customize your search to a certain price point or area. However, if you’re not ready to meet with a Realtor but just want to window shop, use allentate.com for the most up-to-date accurate information about current listings. 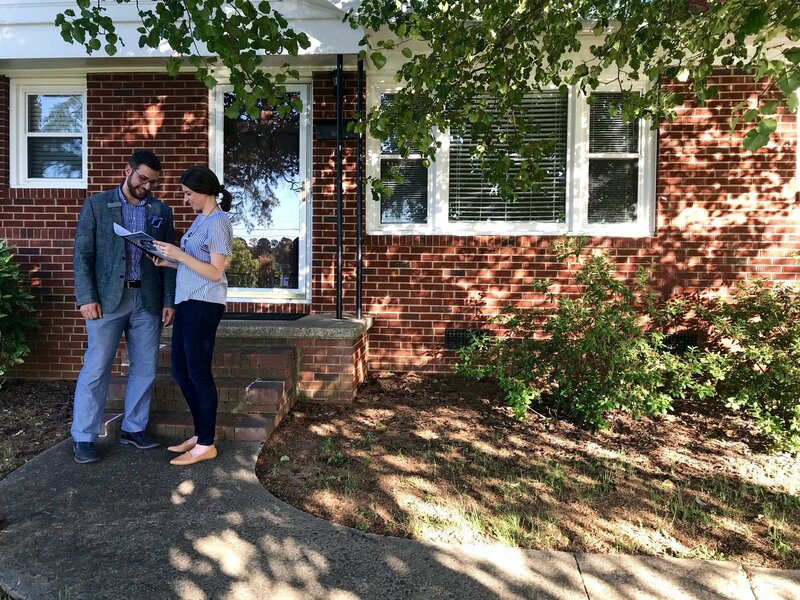 The home buying process is already pretty tricky, but for first-timers, Queen City real estate is downright daunting. Here’s a guide to help you along your journey to homeownership. I got pre-approved through Allen Tate Mortgage and the process was pretty seamless with Senior Mortgage Consultant, Patrick Laraway, talking me through all my options. This also helped me nail down the price range of my search. 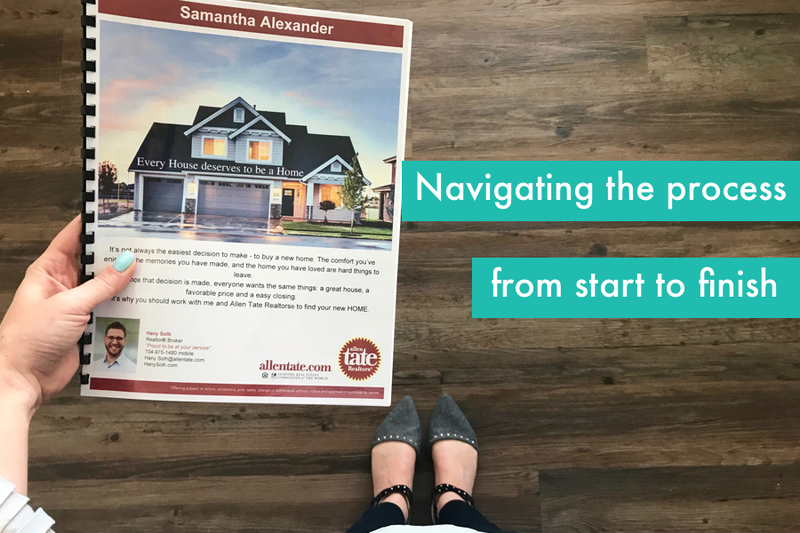 Your Realtor will be your most valuable resource during the home buying process so you want to make sure you find the right fit. How do you know if it’s a match made in heaven? “Interview your agent,” recommends Hany. Communication style is most important. If you are looking in a certain area, you may want to find a Realtor who is super familiar with that market. Luckily, Allen Tate has a HUGE network of Realtors (I’m talking over 1,500) and they can help you find the right one for your search. I genuinely cannot imagine going through the process without one. Find the Allen Tate office closest to you here. Real estate is moving fast in Charlotte, which means you may have to move fast. The day I went to look at houses, all three were under contract by the end of the day. I was shook. Keep in mind, each area is different but you’ll want to be prepared for last minute showings if you see a house pop up that you’re interested in. Speed is definitely an advantage. You may go into your search with a specific idea of what you want but then change your mind once you start looking at houses. Keep your deal breakers in mind but don’t be afraid to readjust your criteria. Your Realtor will get an idea of what you like and may recommend other areas to check out. The home buying process is not for the faint of heart. If you are feeling overwhelmed with the process or frustrated with the amount of homes you’ve looked at, take a break for a week or two. Hany said he has homebuyers who need to step away sometimes and that’s perfectly fine. This is where your Realtor will come in as a true MVP. They will help you craft your offer and add things you may want to negotiate into it – closing costs, home warranty, due diligence period, etc. They will offer insight and, most importantly, represent you to the best of their ability. I was totally surprised by this but Hany recommended personalizing your offer by writing a letter to the seller. “I always ask people to personalize because it can set you apart from other offers.” This helps make you a human and not just a number. The due diligence period in North Carolina is a period of time you have between the seller accepting your offer and closing where you can do home inspections, get a survey, check flood maps, etc. Use this time wisely. If you find anything major during the home inspection, you can try and go back to the seller and negotiate the repairs. They may decline, as they are not required to make repairs, but sometimes they will play ball to close the sale. It’s worth a try. If you made it to closing, congratulations! It’s been a long journey. Buy yourself a bottle of champagne and toast to your new home. Love the charming houses of Dilworth and Elizabeth but can’t pay the high price tag? No worries. Charlotte has no shortage of great neighborhoods – many you’ve probably never heard of. Harper Fox, Realtor®/Broker with Allen Tate, gave some of his recommendations for less expensive alternatives to pricier neighborhoods around town. Why it’s cool: It’s right across the street from all the nightlife on Montford and close to Park Road Shopping Center. You’ve got mature trees and bigger lots than Dilworth/Sedgefield. Harper says you can find some great remodels in here. Honorable mentions: Collingswood and Ashbrook-Clawson Village are around the same area and price point so they are definitely worth a look. Why it’s cool: It’s filled to the brim with charming brick cottages and close to Cotswold shops and restaurants. It’s just down the road from Elizabeth and offers a ton of growth potential. Young families are flocking here. Honorable mention: If Oakhurst is out of your budget, Echo Hills is another growing neighborhood nearby that offers more affordable options. Why it’s cool: This area has been seeing a revitalization over the past few years. Now with the light rail expansion, it’s even more poised for rapid growth. Expect cute, older homes and tons of community character. Why it’s cool: Don’t let the name fool you, Country Club Heights, isn’t stuffy at all. This cozy neighborhood is sprinkled with affordable mid-century homes and is just down the road from all the Central Ave. hot spots. Why it’s cool: This area dates back to the early 1900s and is protected as a historical district. Expect tree-lined streets and really beautiful, turn of the century homes. Plus, Harper says this area has a growing food scene. 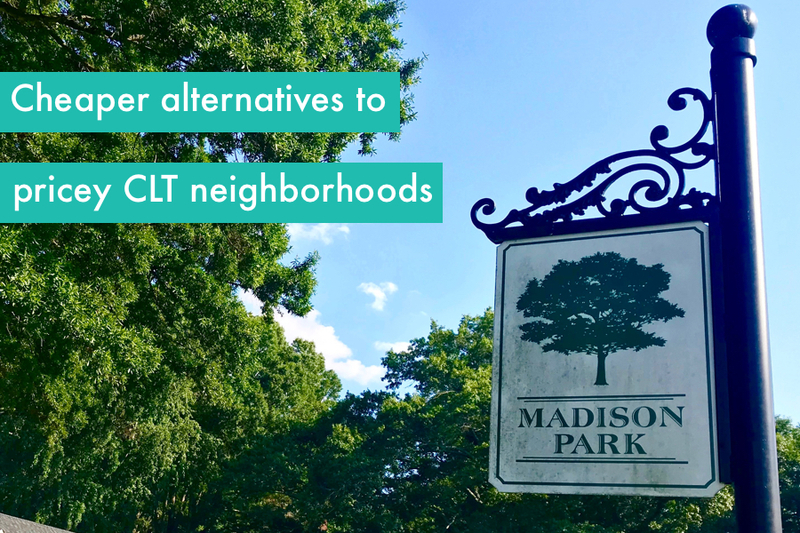 Why it’s cool: One of Charlotte’s oldest neighborhoods, it boasts tree-lined streets filled with renovated, historic bungalows. Only 6 minutes to Uptown, you can even enjoy skyline views from some homes. Honorable mentions: Seversville and Smallwood are tucked in between Biddleville and Wesley Heights and offer historic homes at lower price points. 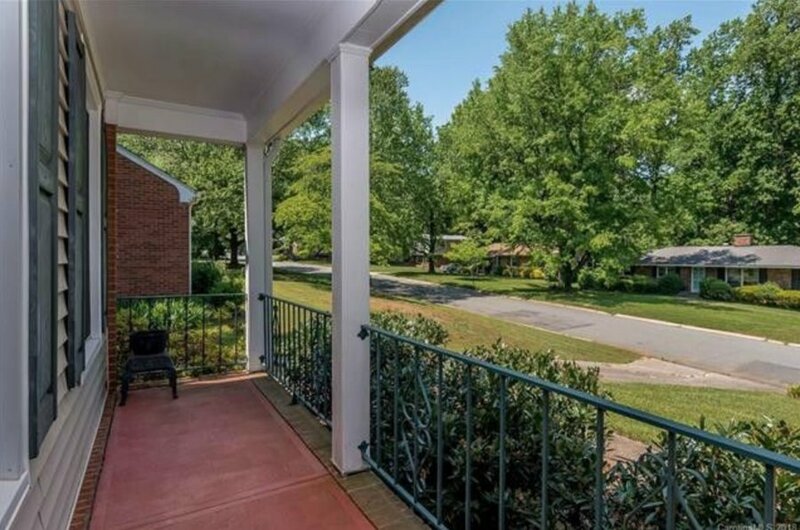 Why it’s cool: You’ve got the convenience of SouthPark combined with large sweeping yards, mature trees and brick ranches and split levels built in the 1960s. A great place to find some cool mid-century modern homes. Why it’s cool: This neighborhood offers bigger yards and 1950s style ranch homes. You’ve got the proximity to Cotswold and you’ll get more house for your money here. Don’t want to be on a ramen noodle diet after you buy your new home? Yeah, me neither (although I would be down if it was Futo Buta). 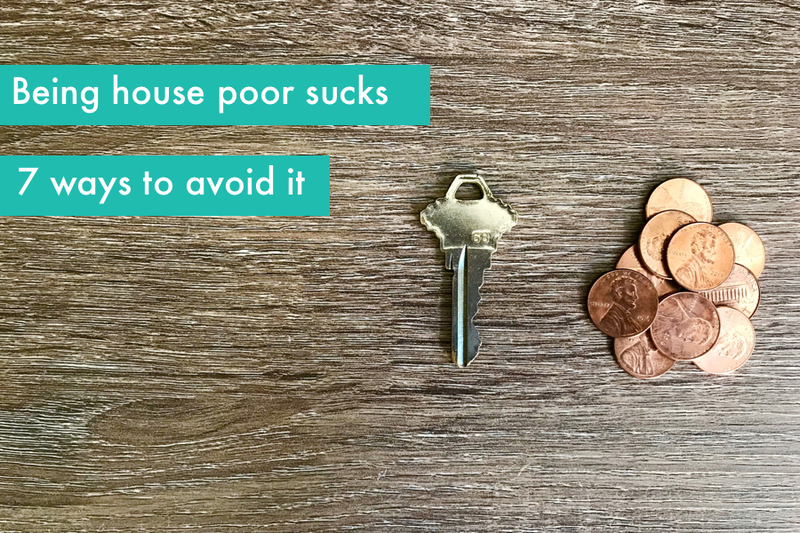 I spoke with Senior Mortgage Consultant, Patrick Laraway, at Allen Tate Mortgage to figure out how to avoid being house poor and he had some great advice. You’ll be doing this when you get your pre-approval letter. It helps understand how much house you can afford upfront. They can talk you through the whole process so you understand how much you’ll really be paying from your initial down payment to your monthly payment and estimated closing costs. Patrick explained there are some special loan options and incentives for first time homebuyers. If you qualify, the mortgage consultant will go over those options with you. Be honest with yourself about how much you can truly afford. Don’t forget to consider other costs like home insurance, utilities and random home maintenance costs. If it’s viable for you, you can put down a bigger down payment upfront to bring down your monthly mortgage payment and potentially avoid paying PMI. Look beyond the down payment and remember to factor in other costs like home insurance, home inspections, closing costs, taxes, potential repairs, etc. To save some cash, you can try to negotiate so that the seller covers your closing cost. It doesn’t always work but I vote that it’s worth a try. 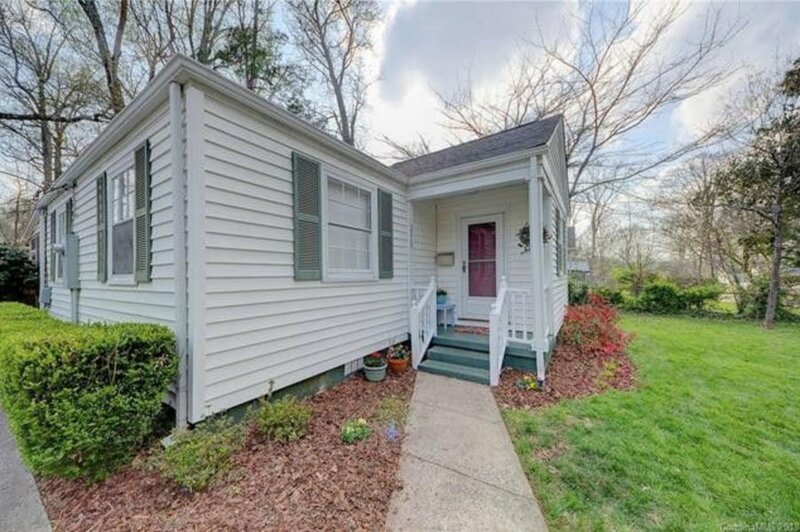 Ready to buy your first Charlotte home? Start your search today. This paid content has been created in partnership with Allen Tate Realtors®.